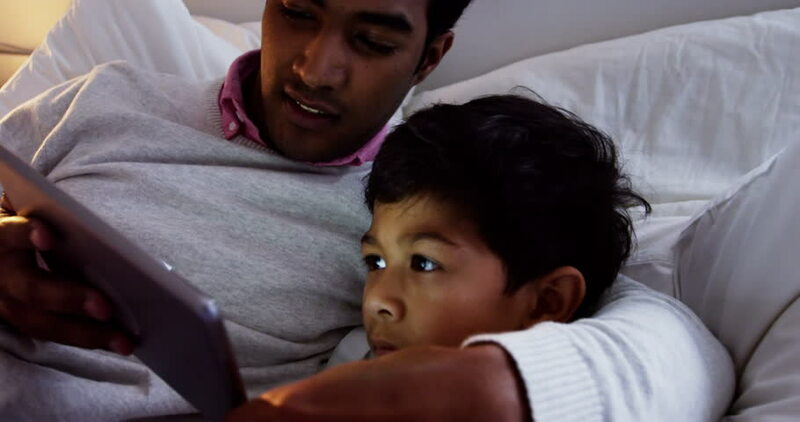 hd00:21Father and little son watch something on an electronic tablet. hd00:12Father reads a bedtime story to his daughter. The daughter sleeps hugging her father, who reads her book.